Musical Village Youth Chorale performed Carl Orff's Carmina Burana with the Leicester Bach Choir in January 2013 at Leicester Grammar School. 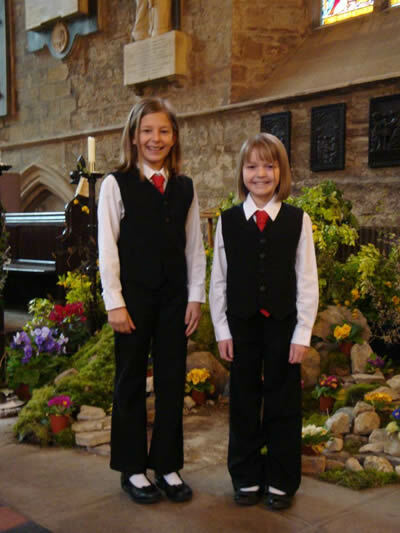 The children of the Youth Chorale sang a selection of songs from 'Bells Ring Out' by Gavin Reid at St James the Greater Church on 15th December 2012. 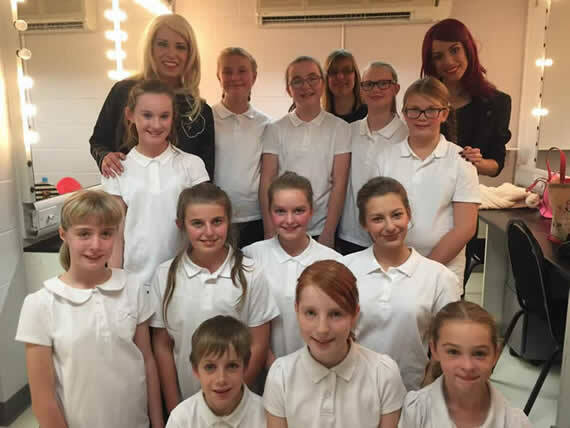 MV Youth Chorale sing at the Festival Gala Concert held at Abbots Road South Church, Leicester, and meet Faryl Smith (finalist in Britain's Got Talent 2008). 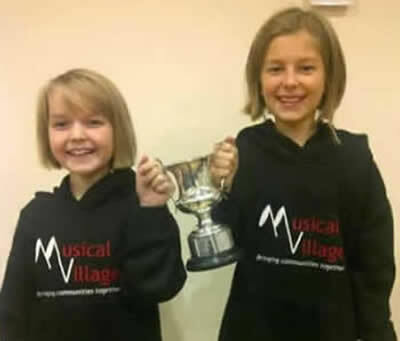 Natalka Smaditch (aged 11) and Sophia Smaditch (aged 8) sang 'The Lord Bless You And Keep You' by John Rutter in 2-part harmony on Saturday 12th November 2011 in the under-17 years category, winning first place and the Lathbury Cup (pictured below). Congratulations to them both on a very beautiful performance! Several members of the choir participated in the 'Songs from the Shows' solo class. 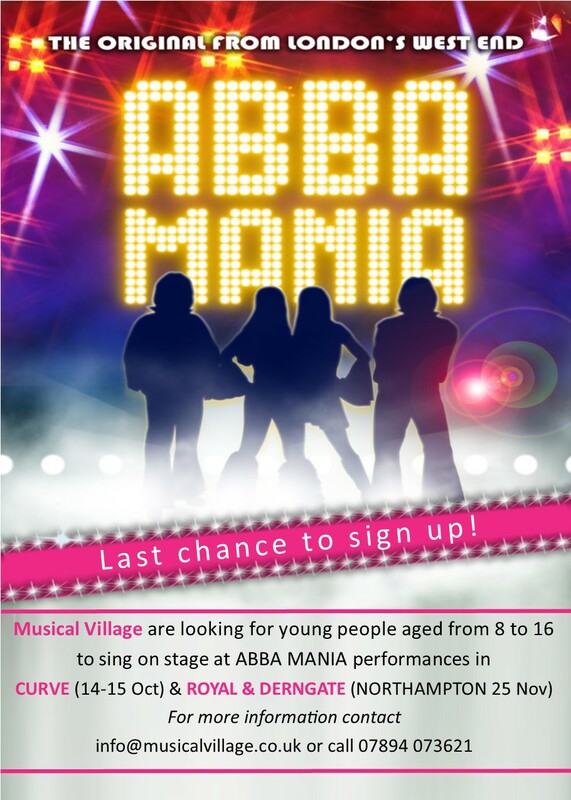 Sophia Smaditch was awarded 3rd place out of 13 singers - well done!